In this study, we present a novel framework to address the problem of teaching manipulation tasks performed by a single human to a set of multiple small robots in a short period. First, we focused on classifying the manipulation style used during a human-performed task. An allocator process is proposed to determine the type and number of robots to be taught based on the capabilities of available robots. Then, according to the detected task requirements, robot behaviors are generated to create robot programs by splitting human demonstration data. Small robots were used to evaluate our approach in four defined tasks that were taught by a single human. Experiments demonstrated the efficiency of the method to classify and judge whether the division of a task is necessary or not. Moreover, robot programs were generated for manipulating selected objects either individually or in a cooperative manner. J. Heredia, J. Rubrico, S. Shirafuji, and J. Ota, “Teaching Tasks to Multiple Small Robots by Classifying and Splitting a Human Example,” J. Robot. Mechatron., Vol.29, No.2, pp. 419-433, 2017. T. Arai, E. Pagello, and L. E. Parker, “Editorial: Advances in multi-robot systems,” IEEE Trans. 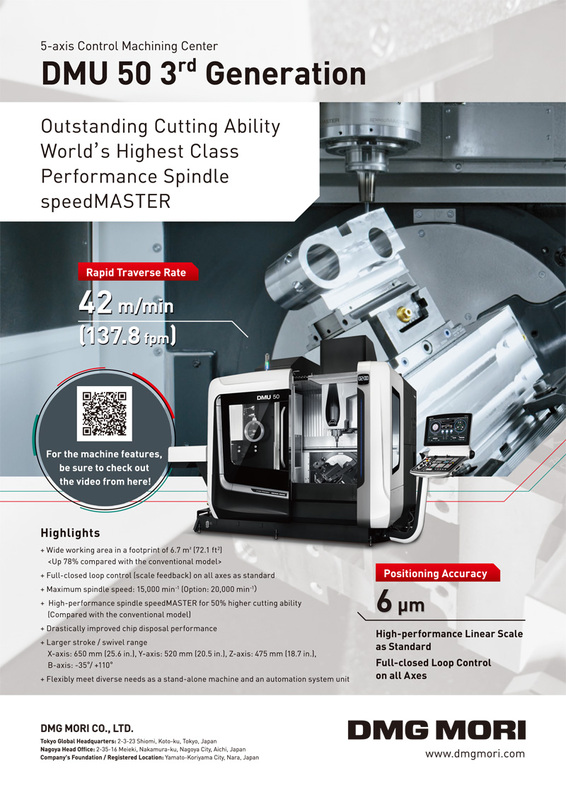 on Robotics and Automation, Vol.18, Issue 5, pp. 655-661, 2002. D. Rus, B. Donald, and J. Jennings, “Moving furniture with teams of autonomous robots,” Proc. IEEE/RSJ Int. Conf. on Intelligent Robots and Systems, pp. 235-242, 1995. D. Stilwell and J. Bay, “Toward the development of a material transport system using swarms of ant-like robots,” IEEE Int. Conf. on Robotics and Automation, pp. 766-771, 1993. 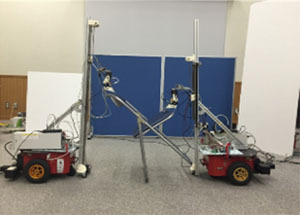 M. Fujii, W. Inamura, H. Murakami, K. Tanaka, and K. Kosuge, “Cooperative Control of Multiple Mobile Robots Transporting a Single Object with Loose Handling,” IEEE Int. Conf. on Robotics and Biomimetics, pp. 816-822, 2007. Z. Liu, H. Kamogawa, and J. Ota, “Fast grasping of unknown objects through automatic determination of the required number of mobile robots,” Advanced Robotics, Vol.27, Issue 6 pp. 445-458, 2013. B. Donald, L. Gariepy, and D. Rus, “Distributed manipulation of multiple objects using ropes,” IEEE Int. Conf. on Robotics and Automation, pp. 450-457, 2000. T. Sakuyama, J. D. Figueroa Heredia, T. Ogata, T. Hara, and J. Ota, “Object Transportation by Two Mobile Robots with Hand Carts,” Hindawi Publishing Corporation Int. Scholarly Research Notices, Vol.2014, 2014. C. Ferrari, E. Pagello, J. Ota, and T. Arai, “Multirobot motion coordination in space and time,” Robotics and Autonomous Systems, Vol.25, pp. 219-229, 1998. P. Svestka and M. H. Overmars, “Coordinated path planning for multiple robots,” Robotics and Autonomous Systems, Vol.23, Issue 3, pp. 125-152, 1998. K. Yamazaki, T. Tsubouchi, and M. Tomono, “Furniture model creation through direct teaching to a mobile robot,” J. of Robotics and Mechatronics, Vol.20, No.2, pp. 213-220, 2008. J. H. Figueroa Heredia, H. Sahloul, and J. Ota, “Teaching mobile robots using custom-made tools by a semi-direct method,” J. of Robotics and Mechatronics, Vol.28, No.2, pp. 242-254, 2016. B. D. Argall, S. Chernova, M. Veloso, and B. Browning, “A survey of robot learning from demonstration,” Robotics and Autonomous Systems, Vol.57, Issue 5, pp. 469-483, 2009. M. Riley, A. Ude, K. Wade, and C. G. Atkeson, “Enabling Real-time full-body imitation: natural way of transferring human movement to humanoids,” Proc. IEEE Int. Conf. on Robotics and Automation, Vol.2, pp. 2368-2374, 2003. D. Matsui, T. Minato, K. F. MacDorman, and H. Ishiguro, “Generating natural motion in an android by mapping human motion,” IEEE/RSJ Int. Conf. on Intelligent Robots and Systems, pp. 3301-3308, 2005. S. Calinon and A. Billard, “Incremental Learning of Gestures by Imitation in a Humanoid Robot,” ACM/IEEE Int. Conf. on Human-Robot Interaction, pp. 255-262, 2007. M. Ogino, H. Toichi, Y. Yoshikawa, and M. Asada, “Interaction rule learning with a human partner based on an imitation faculty with a simple visuo-motor mapping,” Robotics and Autonomous Systems, Vol.54, Issue 5, pp. 414-418, 2006. R. Dillmann, “Teaching and learning of robot tasks via observation of human performance,” Robotics and Autonomous Systems, Vol.47, Issues 2-3, pp. 109-116, 2004. Y. Yang, Y. Li, C. Fermuller, and Y. Aloimonos, “Robot Learning Manipulation Action Plans by “Watching” Unconstrained Videos from the World Wide Web,” Conf. on Artificial Intelligence (AAAI), pp. 3686-3692, 2015. R. A. Knepper, T. Layton, J. Romanishin, and D. Rus, “IkeaBot: An Autonomous Multi-Robot Coordinated Furniture Assembly System,” IEEE Int. Conf. on Robotics and Automation, pp. 855-862, 2013. Y. Maeda, N. Ishido, H. Kikuchi, and T. Arai, “Teaching of grasp/graspless manipulation for industrial robots by human demonstration,” IEEE/RSJ Int. Conf. Intelligent Robots and Systems, Vol.2, pp. 1523-1528, 2002. S. Chernova and M. Veloso, “Confidence-Based Multi-Robot Learning from Demonstration,” Int. J. of Social Robotics, Vol.2, Issue 2, pp. 195-215, 2010. T. Inoue, “Future tasks of research in robotics,” IEEE Int. Conf. on Robotics and Automation, Vol.1, 1995. M. A. Goodrich and A. C. Schultz, “Human-robot interaction: a survey,” Found Trends Human-Computer Interaction, Vol.1, Issue 3, pp. 203-275, 2007. D. J. Sturman and D. Zeltzer, “A survey of glove-based input,” Computer Graphics and Applications IEEE, Vol.14, Issue 1, pp. 30-39, 1994. W. Premerlani and P. Bizard, “Direction cosine matrix imu: Theory,” Tech. Rep., 2009.